It is undoubtedly very accurate that moving can be overwhelming, especially when there is all that planning, organizing, and thinking that needs your attention. It can often be a challenge to run all the other commitments while maintaining your sanity. But it doesn’t need to be that way. If you view moving as an experience and not as a burden, you will find it fun, easy and enjoyable every time you must move to a different location. It is likely that the most significant relocating issues you are wondering about are where, when and how to start. All you need is some steps to guide you through the whole process. Believe it or not, following a set of rules can make things a lot straightforward and enjoyable. 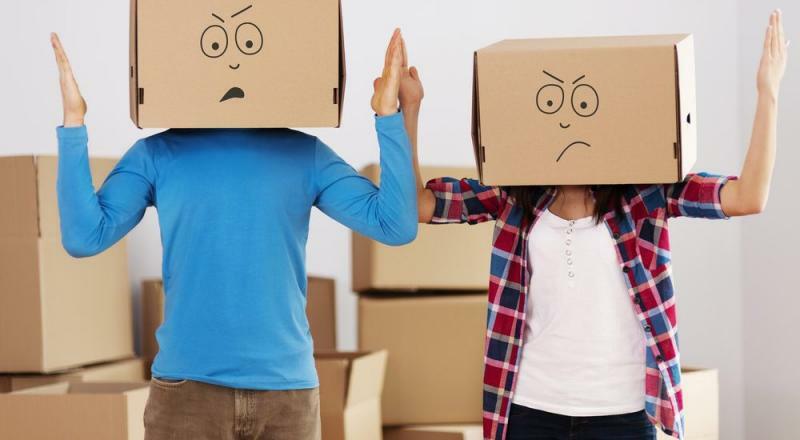 So here are 8 tips to help you have a stress-free moving time. Even before you begin doing anything, you should first come up with a bright, solid plan. Planning is one of the most efficient ways to ensure that packing is methodically done to perfection. When you begin with planning, everything you do will feel like a walk in the park. You will know which room to start with, what things to put in a particular box, where to get the boxes and how to label the boxes so that you find your valuables fast. So, don’t start without making a plan. Any chance you get to free up your schedule to focus only on this one task will be an ideal way to guarantee a stress-free time. Get a babysitter, a family member or a reliable friend to watch your kids as you run your errands. Furthermore, request your boss for a day’s break and ensure to free up time on the weekends for a lesser mental load. What is packing without boxes and wrapping papers? You can’t solely rely on suitcases to put all your house belongings, so the best way to go about it is to get lots of boxes and folding papers. Borrow them from your friends, the local grocery store, or buy them online from packing and shipping stores. If you don’t want to splurge away, you can opt for newspapers instead of wrapping papers. You can get newspapers by borrowing them from friends or even using those in your basement. Your mentality during this whole process will matter a lot. Positive thinking will be necessary during packing because that way you will see moving as an opportunity to declutter instead of viewing it as a tedious task. With the right mindset, you will identify and categorize your valuables in order of importance. Things you don’t need don’t have to go to the new house. Instead, have a garage sale, donate others to friends and family or sell the remaining ones online. Clutter will give you stress, so make sure you don’t tie yourself down with non-important goods. For the sake of maintaining low stress levels, make sure to get a helping hand. When you face your entire home alone, you may end up feeling stressful, frustrated and even confused. You probably don’t want to pressure your friends to assist you, but you can always get professional movers to help. Look around for the best movers in your locality and request them to take over the work. Delegating work to professional movers will relieve you from all the stress, plus it will be much faster than when handling the job alone. Contact Minneapolis moving companies for a smooth and efficient moving experience. Researching on your new environs will undoubtedly give you a reassuring feeling. Visiting the area will help you identify all the hot spots of the place (the mall, restaurants, schools, etc. ), plus it will also help you get a feel of what to expect at your time there. Visit the place as much as you can and note down everything that excites you, from events, people to the physical surroundings. It will get you anxious and excited about the place even before you move, giving you the fuel you need to pack everything and leave your old house. It may seem awkward introducing yourself to the soon to become neighbors, but you will realize it will be a worthwhile experience. When you take a visit to the new town, try and inquire about the place from the neighbors. At least they will know who will be moving next to them and it will also let you have a glimpse on the type of people you will be calling neighbors soon. You will not miss two or three neighbors who will welcome you the next time they see you with the boxes. You may get to realize that this may not be your last time to move again. Thus, always remember to have a positive attitude. When you think positive, you will notice that you will get sleep as usual, you will avert random panic attacks, plus you will be energetic and enthusiastic throughout the entire experience. Additionally, you won’t have to put off essential things like exercising or family time because you will already know what and when to do a particular task. What’s more, by thinking positively about the process, the psychological changes will be easier and smoother through the transition. Visualizing a positive end results will also help you identify and prevent potential risks that you are likely to encounter during the move. Put simply, thinking positively, no matter how stressful the process is, will help you conquer a lot of challenges because your mind will always be convinced that what you are doing is all worth it. Take the above tips into consideration before you put your valuables into those boxes. Also, remember to keep a positive attitude as you pack and organize stuff, and to do sufficient preparation before the D-day. Moving stress is manageable and the above tips will go a long way in helping you move smoothly and seamlessly. Metal Garage Doors: Steel or Aluminum?